Thanks for riding with BikeFAT.com! 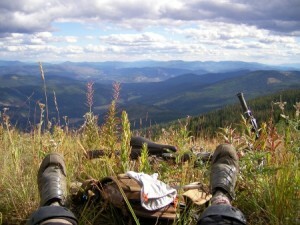 BikeFAT.com was created in January 2012 to enhance my already huge passion for mountain biking. I grew up in the south-east corner of British Columbia, Canada in the heart of an amazing mountain scene. I have ridden mountain bikes since childhood, and have been employed as a bike mechanic in our local bike shop from 2006-present. For the past few years I have used most of my spare time, (when not working, riding, or raising a family,) trail building. Before beginning work on these pages, I had a desire to try my hand at creating a website of my own, and naturally the idea for a mountain biking blog took hold, since the easiest content for me to come up with revolves around my bike filled life! So, in essence, BikeFAT.com is the result of an experiment born from my love of all things mountain bike and my curiosity about the inner workings of the Web. By the way, I am always open to publishing content from guests who enjoy writing mountain bike related content and would like to share it with the world through this website. There is a contact form in the page footer if you need to get a hold of me. I thought you might be interested in a few free safety glasses suitable for cyclists. These could be used as prizes in a competition on your site and/or you could review them. Or you may be interested in a little test blog. We want to ensure that everyone has the right level of protection for their intended use and that the eye protection they choose doesn’t disintegrate when in use. Happy to discuss further when convenient. Winter riding – mud management. I have a plus size MTB with 3″ tyres for adventure cycling in muddy/boggy winter trails. Mud management is the no.1 issue. I have mudhugger mudguards which are the best you can get but they are not full length so you still get mud in the face, chest, and back during the worst weather. I have just made a mudflap for the front guard, using linen tape, and I can make my own extra guard for the downtube for full coverage. The final piece of the jigsaw technically is a simple, clip-on, plastic deraillure guard which is designed to shield the lower jockey wheel from mud – I haven’t yet applied my mind to that one- if you know anyone who has designed a simple rear deraillure mudguard ?